10-CD Box (LP-Format) mit 108-seitigem gebundenem Buch, 240 Einzeltitel. Spieldauer ca. 630 Minuten. 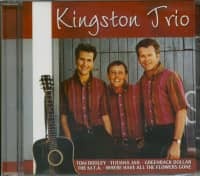 Das Kingston Trio war keine einfache Folk-Gruppe - es war ein Phänomen! Witzig, sauber und charismatisch packte das Trio die Fantasie des Publikums mit ihrem Spitzenhit Tom Dooley im Herbst 1958 und liess eine Serie von millionenfach verkauften Alben auf Capitol folgen. Das Trio spielte zeitlose akustische Musik, die einfach, ansprechend und überraschend abwechslungsreich war. Ihr Repertoire umfasste Folk Songs, Calypso und Gospel-Nummern, Weltmusik, Brodway Melodien, Oldtime Music und zeitgenössische Country Songs - selbst modernen R&B. Obwohl das Trio hunderte von populären Folk-Gruppen inspirierte, konnte keine jemals ihren auffälligen Sound kopieren. 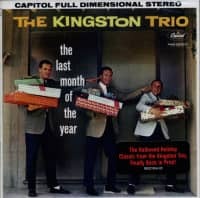 Diese 10-CD-Sammlung enthält alle original Capitol-Aufnahmen des Kingston Trios. Dazu gehören so klassische Hits wie Tom Dooley, M.T.A., Raspberries, Strawberries, The Tijuana Jail, A Worried Man und Scotch And Soda sowie viele vorher unveröffentlichte Demos und Zweitversionen. Ebenfalls dabei ist das Newport Folk Festival-Konzert von 1959, ihre 7-Up Werbespots, eine Abhandlung über die Geschichte des Liedes Tom Dooley sowie die erste Aufnahme von Grayson & Whitter. Das 108-seitige gebundene Begleitbuch enthält seltene Fotos aus der Sammlung des Kingston Trios sowie die Geschichte der Original-Gruppe, geschrieben von Bill Bush, weiter Anmerkungen zu jedem Song von Ben Blake und schliesslich die komplette Discografie. Gegründet wurde das folkloristisch ausgerichtete Trio 1957 in San Francisco. Mitglieder: Nick Reynolds (geb. am 27. 7. 1933 in Kalifornien), Bob Shane (geb. am 1. 2. 1934 auf Hawaii) und Dave Guard (geb. am 19. 10. 1934 in San Francisco, gestorben am 22. 3. 1991). Zwischen 1958 und 1963 kamen 17 Singles in die US-Hitlisten, angeführt von der Guard-Komposition 'Tom Dooley', die ein internationaler Evergreen wurde und auf dem Folksong “Tom Dula' aus dem 19. Jahrhundert basiert. Als Guard 1961 das Trio verlassen hatte (er gründete die Whiskeyhill Singers), kam als Ersatz John Stewart (geb. am 5. 9. 1939) aus San Diego hinzu. 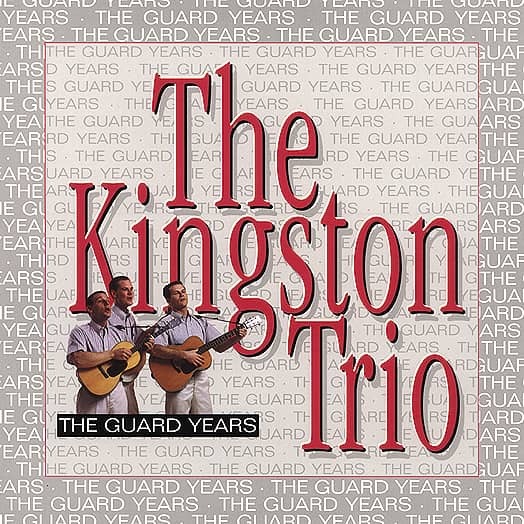 Nach dem Ende des Kingston Trios (1967) wiederbelebte Shane die Gruppe sofort mit den neuen Mitgliedern George Grove und Roger Gamble ('New Kingston Trio'). 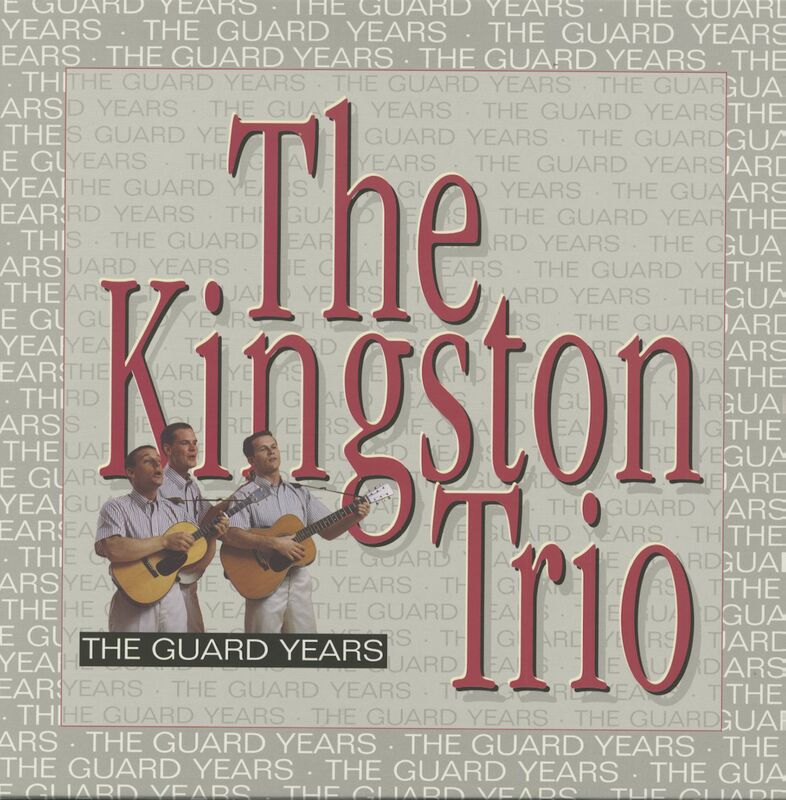 Ende der 80er Jahre war eine Kingston-Trio-Version mit Shane, Grove und Bob Haworth unterwegs. John Stewart erlangte als Solist Bedeutung auf l der Singer- - Songwriter-Szene. Für das Sprechen des deutschen Intros zu 'Tom Dooley' wurde der englische BBC- Discjockey Allen Grace verpflichtet, der ansonsten nichts mit dem Kingston Trio zu tun hatte. Donald David Guard was born in Honolulu, Hawaii on October 19, 1934. He attended Honolulu's Punahou School, where he met Bob Shane; they both graduated in 1952. Dave's father, a civil engineer and U.S. Army Reserve colonel, encouraged Dave to pursue a career in business. Subsequently, he enrolled in Stanford University where he graduated with a B.A. in Economics in 1956. While attending Stanford's Graduate School of Business, he formed the Kingston Trio with Bob Shane and Nick Reynolds, and performed with the group until 1961. Guard then formed The Whiskeyhill Singers with former Trio bassist David 'Buck' Wheat, Cyrus Faryar and Judy Henske. In 1962, he moved his family to Australia where he taught guitar and hosted his own 'Dave's Place' television program. He would continue to write and teach music, authoring several books including, 'Coulour Guitar' (a method of teaching utilizing color in place of musical notation), and 'Deirdre' and 'Hale-Mano' (books on Celtic and Hawaiian mythology). He was also active in recording Gabby Pahinui, the legendary Hawaiian slack guitarist, producing 'Pure Gabby' in 1979. He passed away on March 22, 1991 in Rollinsford, New Hampshire of lymphatic cancer. He was 57. Robert Castle Shane (Schoen) was born in Hilo, Hawaii on February 1, 1934. He attended the Punahou School in Honolulu with fellow Trio member, Dave Guard. After graduation in 1952, he came to the mainland to study at Menlo Park (California) Junior College, and later at Menlo School of Business Administration. It was there that he met Nick Reynolds, and formed what would later become the Kingston Trio with Nick and Dave (who was attending nearby Stanford University). Bob returned to the islands in 1956 to work in his father's wholesale toy and sporting goods business. He began working in his off-hours at several Honolulu night spots, including the Pearl City Tavern, doing vocal impersonations (he was billed as 'Hawaii's Elvis Presley'). Bob soon returned to the San Francisco area, joining Reynolds and Guard full time as the Kingston Trio. Over the Trio's 40-year history, Bob Shane has remained the Trio's lead singer and constant guiding member. He resides in Phoenix, Arizona and tours extensively with the Kingston Trio. Nicholas Wells Reynolds was born in San Diego, California on July 27, 1933. The son of a U.S. Navy Captain, Nick grew up in nearby Coronado, California where he graduated from high school in 1951. Planning a career in hotel management, he attended San Diego State College and the University of Arizona. He transferred to Menlo Business College where he met Bob Shane and Dave Guard (from Stanford). He graduated 1957 with a B.S. in Business Administration. Nick would remain with the Kingston Trio until 1967. After a short period of designing race cars, he moved to Southern, Oregon where he was a rancher, theater owner and antique owner for 17 years. He would occasionally perform as a duo with John Stewart with whom he recorded an album, 'Revenge Of The Budgie', in the early 80s. 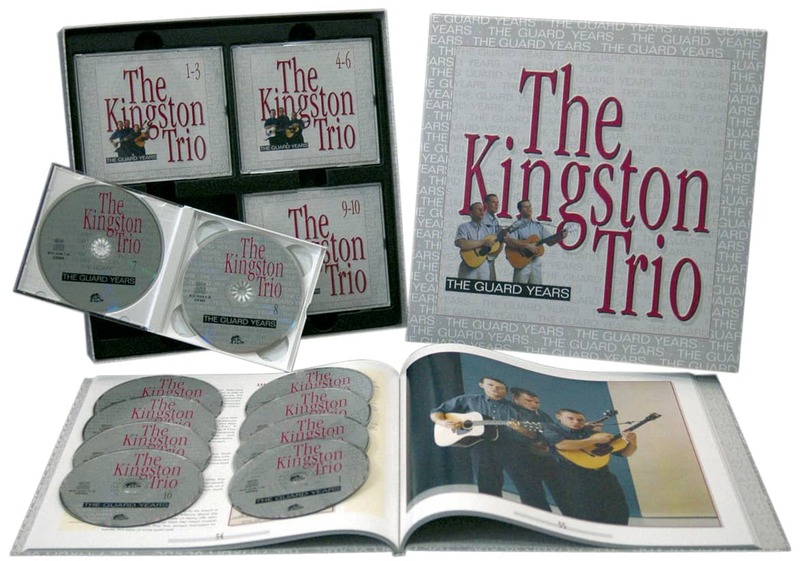 Nick rejoined the Kingston Trio in 1986, and today again plays to sold out audiences worldwide with Bob Shane and George Grove. Nick and his wife Leslie live in Coronado, California. 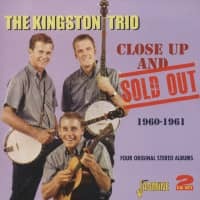 Seemingly overnight, The Kingston Trio became a national obsession racking up million-sellers such as MTA, Tijuana Jail, and Worried Man, and placing five albums concurrently on the 'Billboard' Top Ten chart. They were on the cover of 'Life' magazine, guests on every major TV variety show, and the inspiration for hundreds of folk groups forming in college dorms all over the country. With the demand for guitars (and banjos) came an insatiable demand for folk performers. 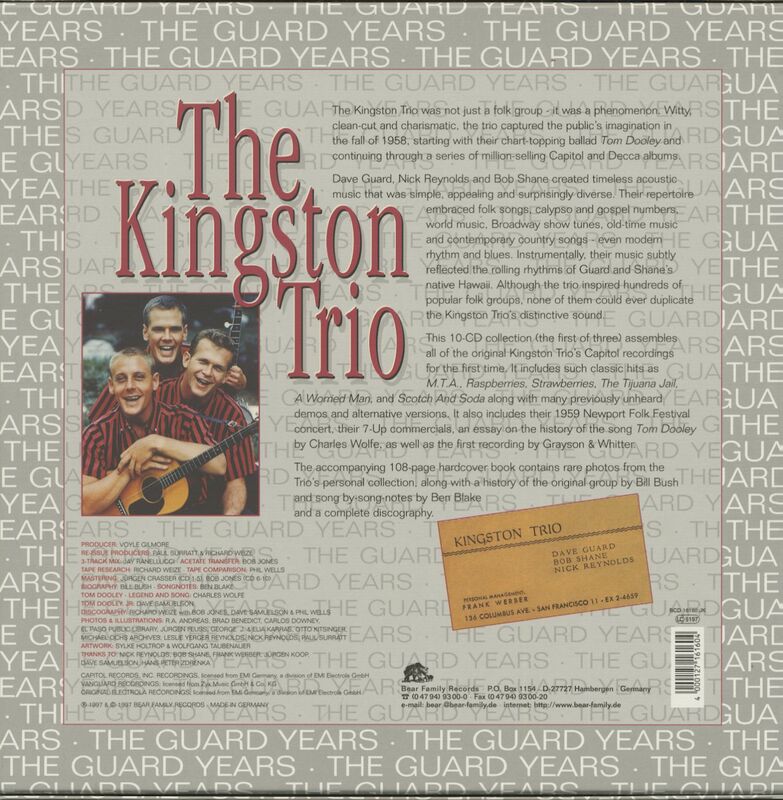 Every major record label had its own version of The Kingston Trio, plus or minus a few members: Peter, Paul & Mary, The Brothers Four, The Chad Mitchell Trio, The Limelighters, The Journeymen, Bud & Travis, The Serendipity Singers, The New Christy Minstrels, the list goes on forever. While the early Trio consciously steered clear of social commentary, their repertoire was always highly intelligent, filled with thought-provoking lyrics and memorable melodies. Theirs was never background music; you had to listen to it and be moved by it, which at that time in American popular music was no small accomplish-ment. As the folk movement gathered momentum, folk performers used their music as a forum for social change, ushering in the folk protest era of the early '60s. None of it would've happened without The Kingston Trio. It can be legitimately argued that without a Bob Shane there never would have been a Bob Dylan. But the controversy started early. The original Kingston Trio was formed in and around Palo Alto, California, by Dave Guard, a Stanford University graduate student and his two friends, Bob Shane and Nick Reynolds, from nearby Menlo College. Guard and Shane both were born in Hawaii, and had been singing and playing together since their high school days at the Punahou School in Honolulu. Reynolds, from Coronado, California, was the son of a Navy career officer and had attended San Diego State and the University of Arizona. "I showed up at Menlo not knowing a soul," recalls Reynolds, "and the first day I walk into this accounting class and there's this guy sleeping in the back of the room during the lecture. So I said to myself, anybody that's got the guts to do that I've got to get to know. It turned out to be Bobby Shane, and we immediately went out and became really tight pals; I don't think we showed up for school for about two weeks afterward." This mutual attraction of kindred spirits, which included drinking, carousing, and other forms of hilarity, was further strengthened by an interest in singing, more as a way of improving their social life than furthering any professional aspirations. "Bobby had this tenor guitar and I had some bongos," Reynolds recalls. "We'd show up at these local spots and fraternity parties and get right in there. I was sort of his driver, you know, just hanging out, fascinated by this magnetic person. Bobby's a charmer; he could play three chords on a tenor guitar and attract more people than the London Symphony. Later on, he said 'I've got to introduce you to this guy I know over at Stanford,' which was Dave, and we just sort of fell together. I kinda mooched my way into that thing. Bobby and Dave had been playing together a long time in Hawaii, and people would want to hire us to play Hawaiian music at their luaus. They taught me some real Hawaiian songs, the third part, which was real easy considering I'd never been to Hawaii. After a while, we started working like two nights a week at these little beer gardens, one of which had hired me as a bartender." Kundenbewertungen für "The Guard Years (10-CD Box Set)"